Why we need a nail clippers? 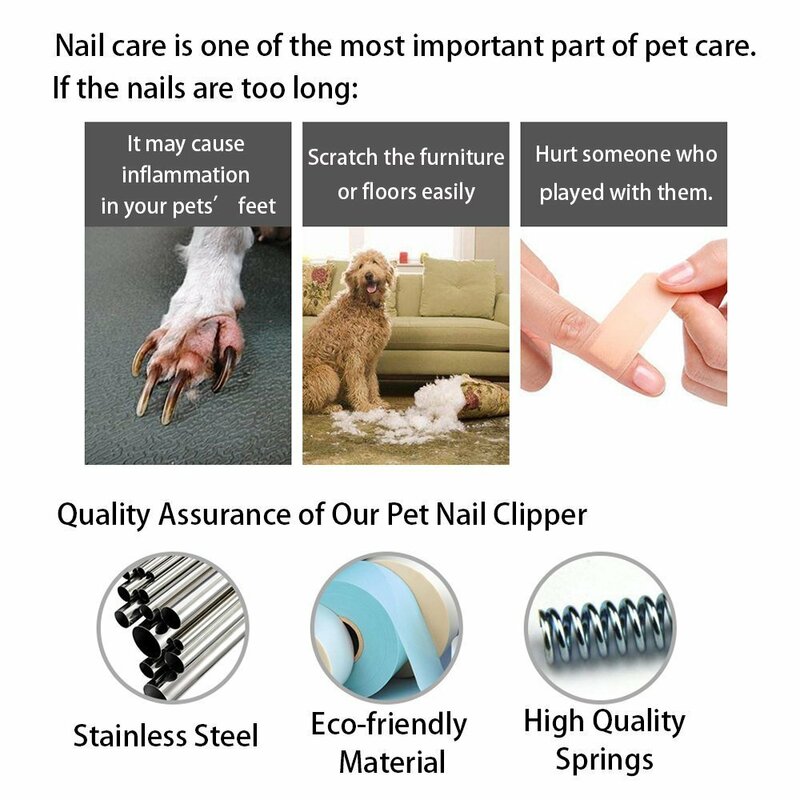 Your pet’s nail are growing rapidly every day and because they can’t easily trim them like you and I,it’s either spend the money and have someone else do it or now you can do it at home! Angled blade for easy handling. Easy to lock blades allows for safe and convenient storage. 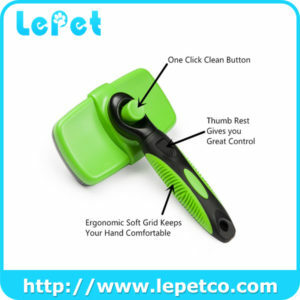 Comfort-grip and anti-slip handle gives you full control. 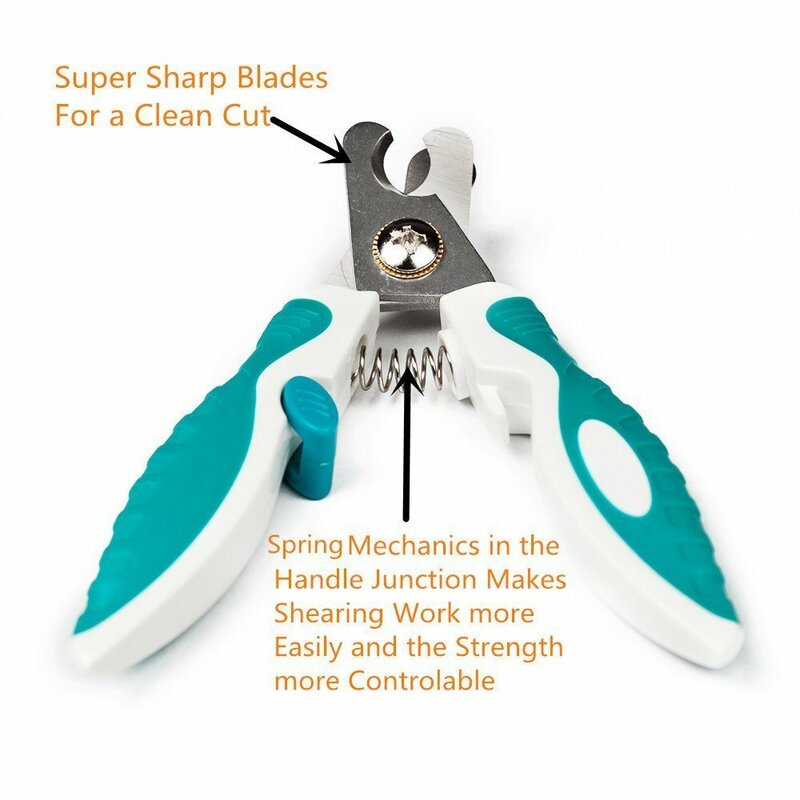 High grade sharp,stainless steel blades ensures even cuts! Hold the paw of your pet.Then, press the end of the nail lightly to make the nail exposed. Pay attention to avoid the vessels and nerves.If cut the vessels accidentally,please use pet hemostatic drugs to stop the bleeding. 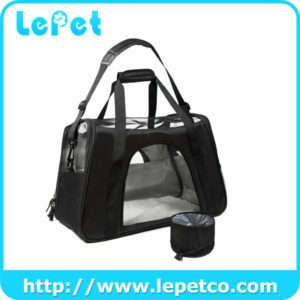 2.Please put in pet, child cannot take place. 3.Please consider when using,avoid improper use and pet skin injury. 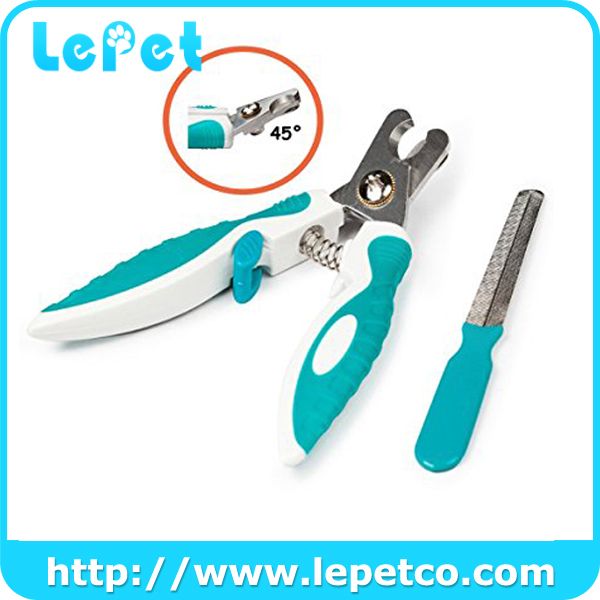 RECOMMENDED BY PROFESSIONALS: LePet professional pet nail clippers are crafted with a durable 3.5mm stainless steel and a solid,durable,non-slip ergonomic handle with quick sensor nail gard. 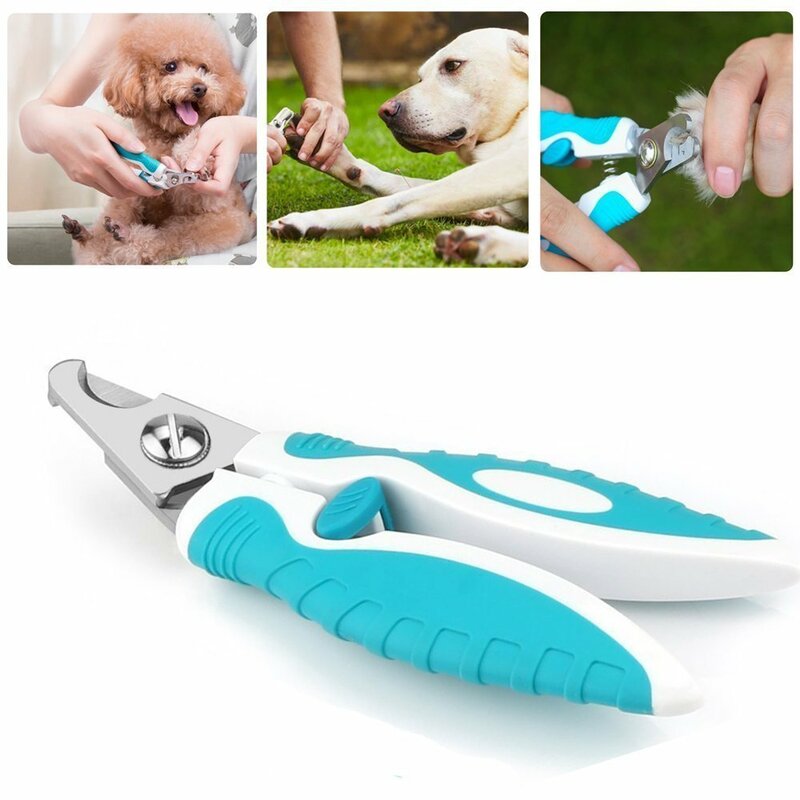 Comfortably and safety trim your pets nails in minutes. 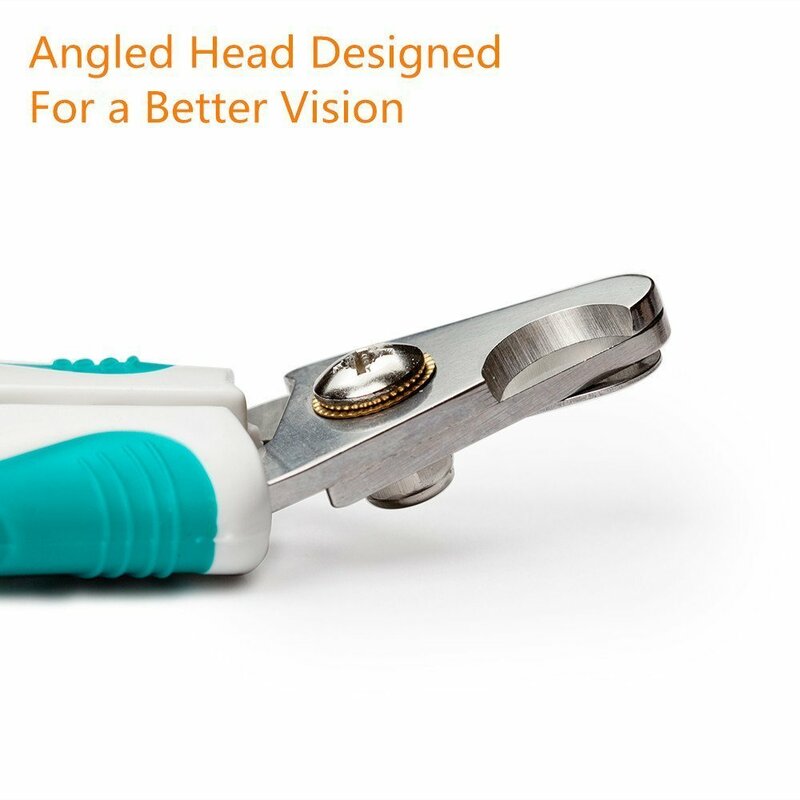 Uniquely designed angled semi-circular blade for better vision and easier handling.We also included a full size nail file, Helps prevent scratches on your wood floors or from ripping your clean carpet. 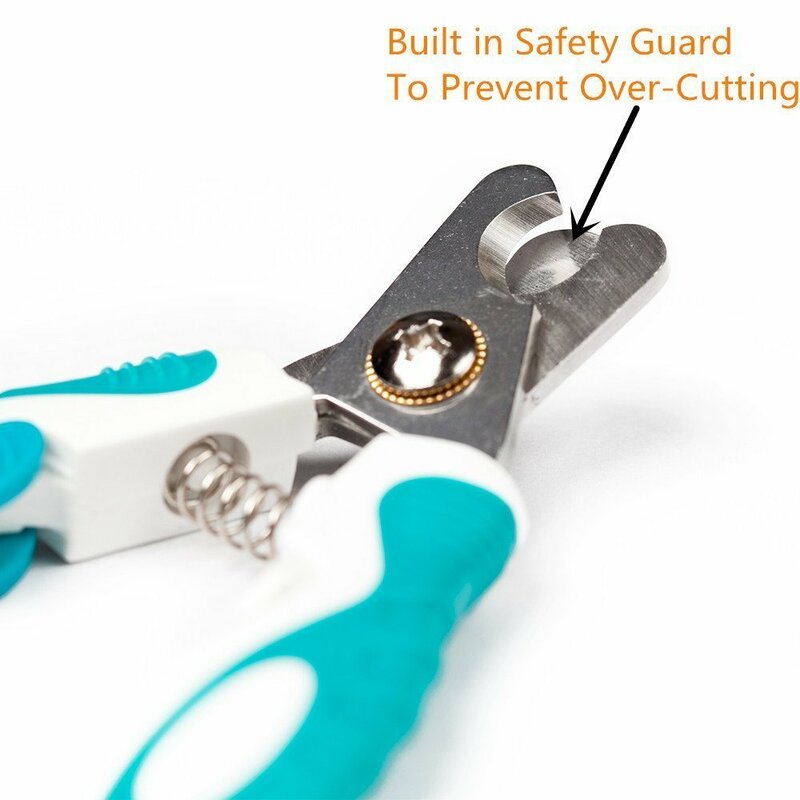 Adjustable nail guard to prevent over-cutting and to prevent damaging wicks.The nail trimmer features an angled grooming head which allows you to get clean cuts without causing any bleeding. Check and cut nails every two weeks. Don’t cut your pet when its feet struggle. Please note the difference between front paws and back paws. 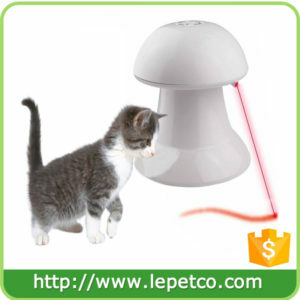 Friendly and responsive after-service support team makes you have no additional worries,Click the Add To Cart now to take good card of your pet’s nail.